Looking For a Web Design Agency in Bangkok ? 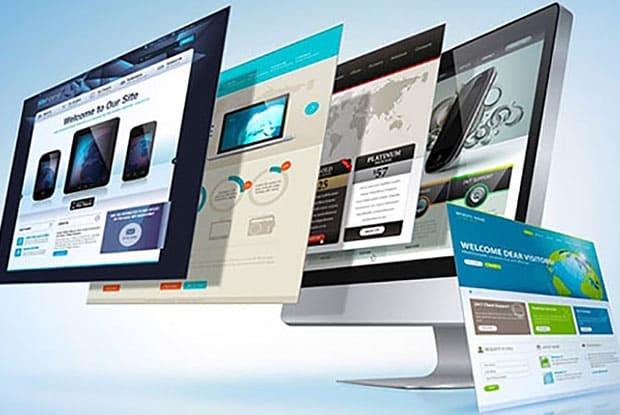 Your Business Absolutely Needs A Website! In this increasingly competitive time, businesses like yours have to stay on the cutting edge in order to survive. Having a solid digital strategy is vital for 21st century business. Without an easily recognizable website with at least some useful information on the services and products you offer, your business is invisible. And if you’re not online, you don’t exist. The potential of the internet to generate a solid customer-base is now being tapped by savvy entrepreneurs. If you don’t want your business to get left behind, want a strong web presence to promote your business and want to make it more competitive on the digital market, then this page could be the first step to changing your business for the better. Do you own a business that needs a website to open up a huge range of opportunities? Do you want a website that’ll provide leading innovation over your competitors in a very competitive market? Are you looking for a web design service that’ll help you develop a strong web presence, promote your business, and get you on the path to success? Get customized web design services and make your business stronger and more competitive on the digital market. Get a personalized experience where you have access and the opportunity to speak with real people. Ace your first impression and make sure it’s successful. Hand over your web designing projects to a service with a great track record, experienced and dedicated team of website designers, and website developers who are ready to work hard to get the right solution for your business. Highly responsive mobile-friendly sites that work effectively for your business at an affordable price with unparalleled quality in a quick turn-around time. We focus on data, usability, accessibility, and speed. Someone that works closely with you to build an innovative website full of high end features and engaging content. We’ll test your site on a variety of mobile devices and non-mobile to ensure the experience is consistent and easy to use. The internet is an ever-changing and evolving space because as the market and technology expand, the importance of having a strong presence online increases. We’ve worked with a wide myriad of clients, and several times, we’ve been asked many very specific questions. In this page you will find those exact answers which are fruit of our experience in this fascinating yet challenging space. How Much Do Your Websites Cost? Giving one definitive answer would be impossible, because the price is influenced by several factors. For instance: number of pages, functionality of the website, etc. As a rule of thumb, you should run away from any web designer or developer who gives you a price without listening to what you need. That’s a major red flag. Your project is unique, that’s why we are ready to listen to you, take note of what you need and based on that, give you a price. That’s the answer in a nutshell, but let’s take a deeper look in order to dissipate your doubts. Or even better, give us a quick phone call right now and we will be more than pleased to help you. In order to give you a price we will ask some questions regarding the site’s nature, the functions you want to integrate, the kind of style you want, the interactivity aspects of the site, etc. Based on your responses, we will give you a price. If you are interested after the quick and free phone consultation, we will go to your business and come up with a fixed quote. Again: if a web developer gives you a price right off the bat, then you should start running now! Let’s suppose you want to buy a car and the seller tells you a price right off the bat without taking into account what kind of car you want. That’d be a red flag, right? The same happens with web design and development. In order to bring you that perfect car or website, both the car seller and web design agency will need details on what you are looking for. We are ready to listen to you and find out what you really need! What Happens If I Ask for a Quote? The very first thing we would do is to talk to you on the phone, or if you prefer, discuss the details of your project by email. You choose. After listening to you and learning more about your business and what you require, we can give you a 100% customized quote for designing your website and bringing your ideas to reality. If you find the quote acceptable, then next thing we would do is to present a formal specification document for you to review. Once it has been approved, we will take an initial deposit of 50% of the agreed quote and start working on your website. Do You Offer Customization to Existing Themes? Absolutely! Our team has WordPress specialists at your disposal with several years of experience customizing a wide myriad of themes, and yes, we’d love to help you! We’ve been doing it this work years, from installing any WordPress theme to implementing the most daring and complex customization. And yes, that includes plugins as well. For all things WordPress, Seo Heroes Bangkok is your best choice because our team of WP experts can work with any type of theme: StudioPress, Divi, Genesis and more. Remember that all of our all-inclusive web design projects include SEO, help with your marketing campaign and content, as well as copywriting for a high-conversion website. The website we create for you is not only crafted to look great, but to actually convert your visitors into clients and make you money, that’s it. Totally, your opinion is crucial. If you want us to take inspiration from the design style of other website, you just need to mention it and we will do that. If you want us to take into account a certain logo, then let us know and we will make it happen. 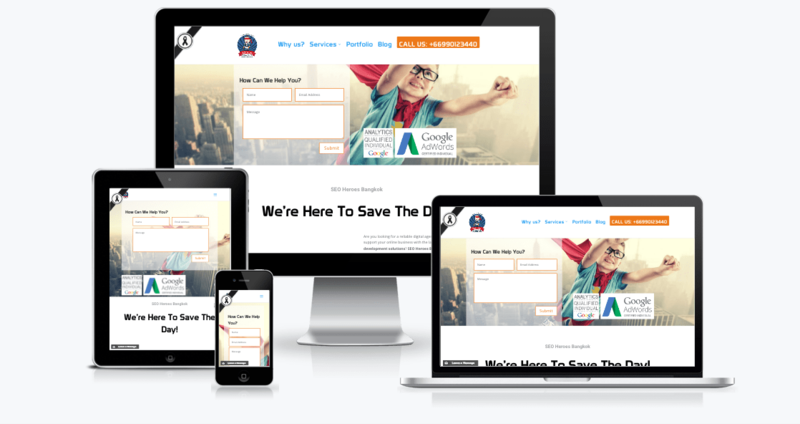 In short: we will make sure to make your website represents the essence and message of your brand. Your input is always welcome, and we will always be there to listen to you. Can You Redesign an Existing Website? If you feel like your current website is not performing very well, then it may be time for a complete makeover. And yes, we can do that for you. We can handle it all, be it a small fix or a complete renovation of your website, so it can start delivering the results you’re seeking. We will provide you with a complete analysis in order to find the weak points of your website and see where we can improve, because our goal is your total satisfaction. Similarly to the case of price, it is hard to tell right off the bat because it depends on what your requirements are. For instance, a small site can take just 4 weeks to complete, where as a large and more complicate website can take up to three months. A big e-commerce website with a high degree of functionality and interactivity will take longer than a simpler site. The delivery date will be based on the complexity, size of the website, blog posts and other factors. Can I Update My Website After Launch? One of the most important advantages of WordPress is that it is very easy to use. With every website we build, we also include 1 hour of WordPress training, so you can learn how to update your website, add pages, write blog posts and more. But in case you don’t want to take care of maintenance, then we can bring you that service as well. Updating and maintaining are mandatory for keeping a strong presence online and attracting more organic traffic. Absolutely, because our Digital Agency has team members not solely composed of WP developers and designers, but also by experts on search engine optimization (SEO). Therefore, each website is designed and developed with SEO and CRO (conversion rate optimization) in mind, so you can rank and convert that traffic into clients. In order to track everything, we will also install Google Analytics and Google Webmaster Tool on each website, so you can check the evolution of your website. Do You Offer Copywriting and Photography Services? If you need translations, copywriting, photography and video services (and any other creative service), then just let us know! We have a team capable of offering you such services at the best price. Am I The Owner Of My Website? The website belongs to you. Everything we create and set-up is yours, 100% guaranteed. Although, most of our clients stay with us in order to bring maintenance to their website, as well as working on the marketing (PPC, SEO, etc.). But in case you want to switch it to another hosting service, or even get another company to bring maintenance to it, then just let us know and we will help you with the transition. The website is 100% yours, so you are free to make all the important decisions. Do You Provide Web Hosting Services? No, and unless you’ve verified the hosting provider yourself you should be aware of companies who claim to do so. In order to bring a high-quality web hosting service, one must have giant data centers supported by 100+ of employees and a 24-hour security team. Most of the time, when a company claims they offer the service, they are just arbitraging and selling you a hosting plan from another company. In case you face any web hosting related problem, you will have to contact the web design company, so that they can contact the hosting company. As you can easily guess, it is a huge waste of time. Moreover, they also control the server that is hosting your website, which is another disadvantage. On the other hand, here at SEO Heroes Bangkok, we attend to your needs and suggest the best hosting plans for your website. You will pay the cost directly, and yes, you will also have 24-7 access to support and total ownership of your website. 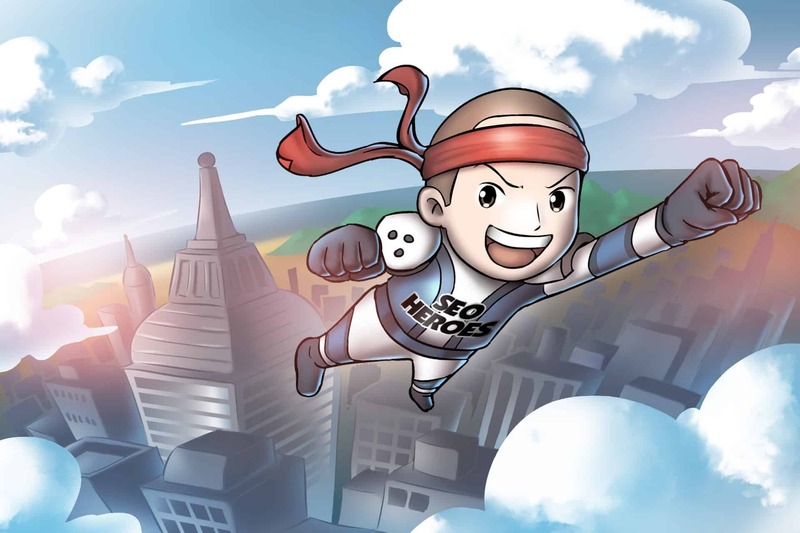 What Makes SEO Heroes Bangkok Different and Why Should We Choose You? With so many web design agencies at your disposal, why should you choose SEO Heroes Bangkok? That’s, indeed, a good question. What makes us different is that our team is composed of real and experienced web designers and developers. This is our full time passion and job, therefore, we bring your project the seriousness and focus it deserves. 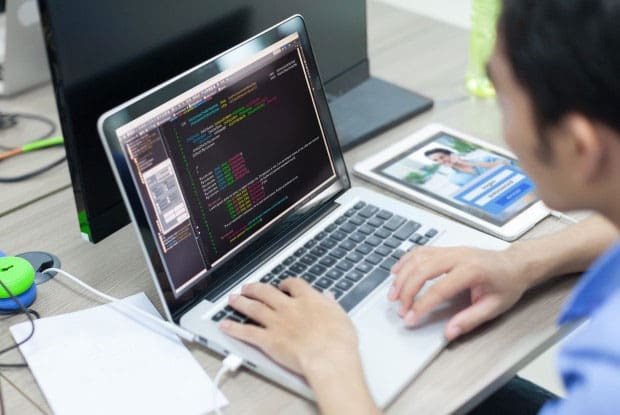 Our several years of experience and formal education, as well as constant training, allow us to hone our skills and bring you the best web design and development service in Bangkok! We don’t work with as many clients as we can land, instead we work with a medium-sized group in order to give to each one of them the attention and seriousness they need. Moreover, our team works with real professionals in SEO and CRO, so we can integrate all of their knowledge into your website design and you can obtain even better results. Our main focus is to bring you a successful and positive return on investment from your website, that’s why we design websites created to convert and make money! And let’s not forget about customer service, because we are always there for you. We are always here to answer your questions, give you updates of the project and solve any problems you might have! All for an amazing fixed price. There are no hidden charges and no nasty strings, “what you see is what you pay”. We would like to invite you to discuss your thoughts and ideas with us now! Honestly, you’ll be glad you did. If you have more requirements for your new business website, feel free to contact us. We are flexible in our business and ever ready to speak to you in non-technical language. Contact us to discuss your requirements now below! Get in touch today and we can start to discuss the right solution for your business. We will help you to find your next generation of customers!